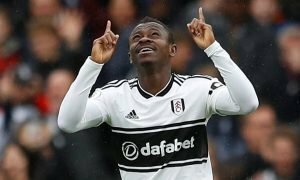 Fulham would be ready for the Premier League with ambitious raid on neighbours Chelsea | The Transfer Tavern | News, breakdown and analysis on all things football! The Fulham fans in and around the Transfer Tavern are growing in confidence that their time back in the Premier League can be a success if they add some quality into their team this summer. 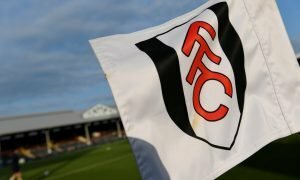 Having made it back to the top flight through winning the play-offs, Fulham are hoping that after being absent for four years, their long-awaited return will be a good one. Our punters feel that Fulham have to make some signings, maybe even recruiting Chelsea outcast Mario Pasalic, who is valued at £7.2 million on Transfermarkt. The central-midfielder is one of many players on the books at Chelsea that has rarely been gifted a chance by his parent club, often finding his football out with teams on-loan. Last season, Pasalic played his football out in Russia with Spartak Moscow, returning four goals in 21 league appearances. He also featured in the Champions League, playing the full 90 minutes in the clubs 1-1 draw with Liverpool, proving tough to beat in a defensive midfield role. The 23-year-old can play in many different roles for the team, including defensive and attacking midfield, offering distinct qualities in both positions. Fulham have a tight midfield but the added quality of the Croatian would be something they could look into ahead of the new season. Mario Pasalic has been at a number of clubs already in his career but Fulham, allowing him to stay in London, could be desirable move so finally, he can showcase his talent in the Premier League, having been restricted to do so by Chelsea.